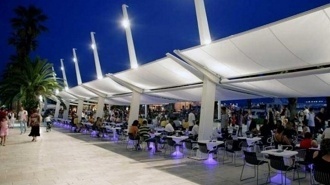 WEB site of www.booking-dalmatia.com combine komplete tourist offer of the wider area of town Split. Entering of any destination, island, object or service, anyone can get the basic, additional and linked information,images and video clips. This appliance enables any interested party,tourist, passanger or business partner, obtaining all data needed, at one spot. In that way, quality and saving the time is gained, avoiding the longterm and exhausting search for information on numerous WEB sites and Internet advertisers. 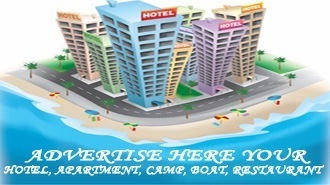 We hope,you'll be safisfied with our services and quality of the advertisement at the Internet. All beneficiaries, business partners and interested persons, can use for free: Text, data, images, video clips, tables, charts and the other elements of our WEB site www.booking-dalmatia.com, for following purposes: Information, booking, contacts, orders, advertisement and information. Please, don't use our WEB site for the commercial purposes: Creation of your own WEB site,copying and distribution to the other beneficiaries, opposite to the copyright law, without our permission. All your demands for the commercial use of our WEB site, send to our E-mail address: info@booking-dalmatia.com.